Seems that unique remodeling and repurposing projects are popping up everywhere lately, which is a good thing. And this one is every bit as cool as the helicopter turned into a hotel. 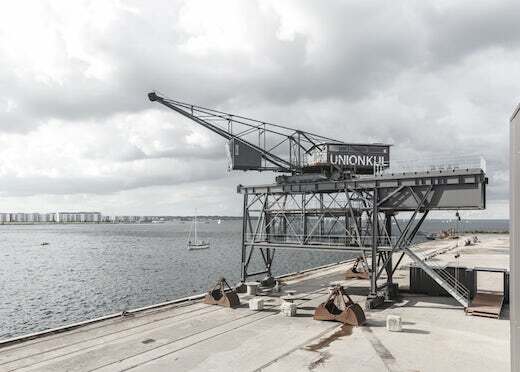 it is an old industrial crane, which was once used for loading coal, that has been transformed into a private retreat. 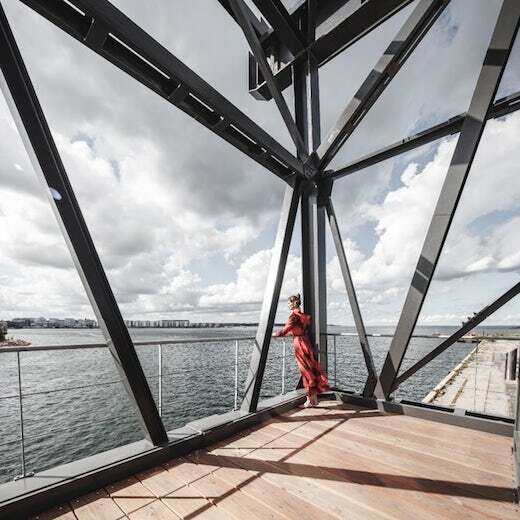 The project was undertaken by the Copenhagen-based firm Arcgency and is located in the city’s harbor. 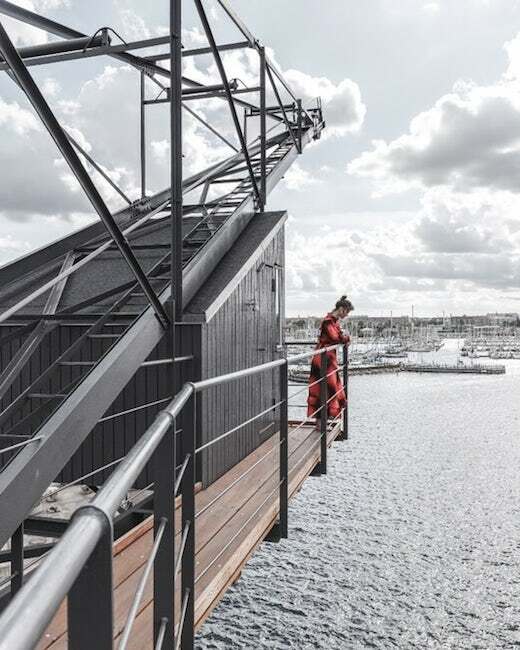 The aptly named Krane features a luxury multi-floor interior, complete with a spa, meeting room, and a private apartment at the top. It also features a lot of outdoor terrace space. The first floor of the Krane houses the main entrance and reception area, which seems to have been made out of a recycled shipping container. V set of stairs leads up to the second floor where the meeting area is located. There is ample glazing in this area to create a very light-filled space. The next level up is accessible via another staircase. This is where the large terrace and spa are located. 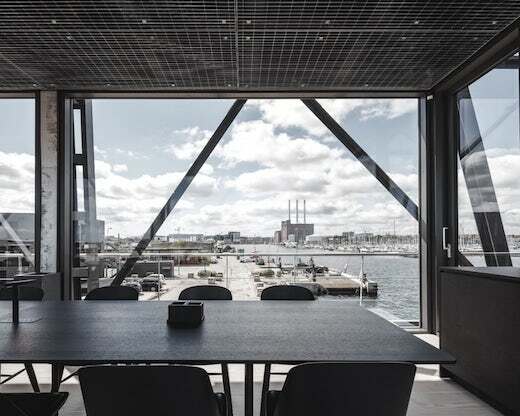 The latter features several baths and a shower, and has windows that let in lots of light and offer great views of Copenhagen’s Nordhavn harbor. 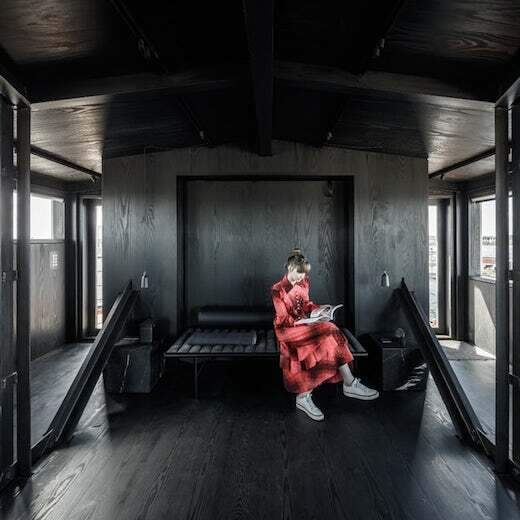 The private sleeping quarters are located at the top of the structure, and measure 538 sq ft (50 sq m). They can be used to accommodate up to two people. 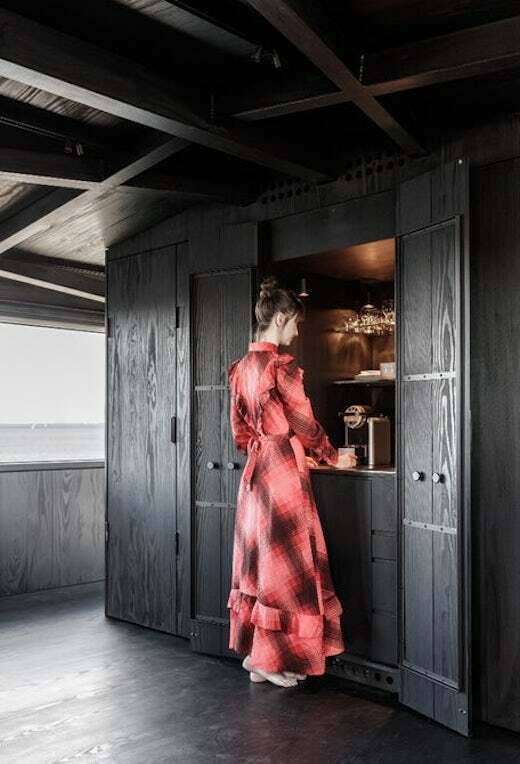 The interior walls are black and the small apartment features a lounge, a kitchenette, a dining table, a double bed, and a bathroom. This area also has its own private terrace. One of the main aims of the designers was to maximize the amount of natural light entering the retreat, and they achieved this by installing ample glazing throughout. 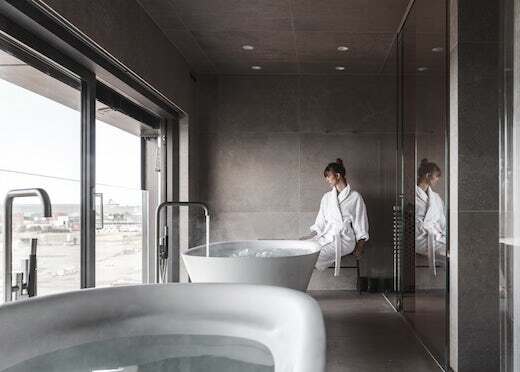 The spa, meeting room and private retreat on the top floor can all be rented out separately, but there is no word yet on how much this will cost. This information will most likely be released soon, though.